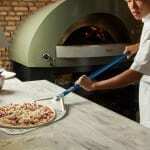 Defining the exact amount of pizzas baked per hour is never easy because each pizzeria has its own equipment and tools not to mention pizza chefs and their different techniques for stretching pizza dough. 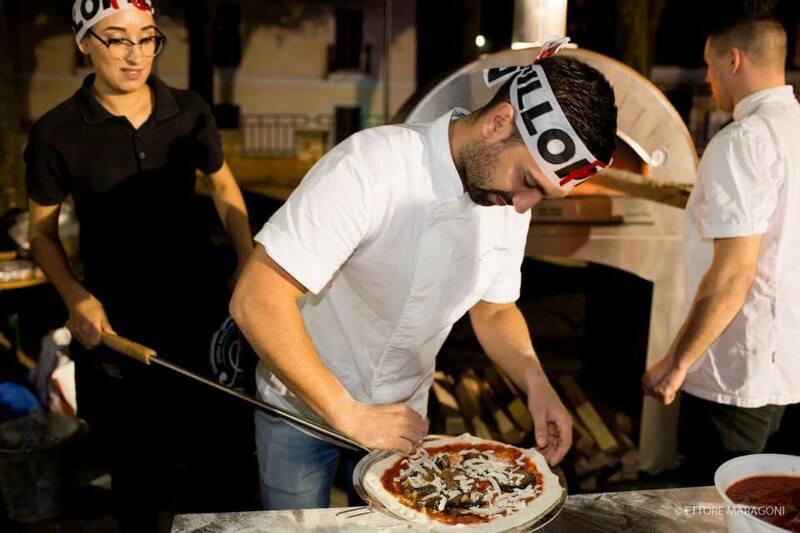 Speed is a key factor in a pizzeria to increase pizza production and thus satisfy ever-growing customer needs especially during peak hours. The pizzeria must be good at handling the workload during lunch or dinner rushes and to accomplish that it’s necessary to apply well-tried rules and act on speed of execution. Basically, in a pizzeria, customers expect shorter waiting times than in a restaurant and therefore the service must be prompt in providing top-notch pizza. 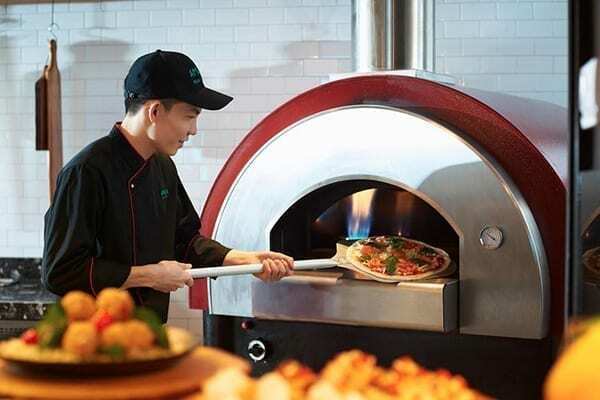 To optimize the pizza maker’s work and to augment the hourly production of pizzas, especially at the busiest times of the day, a seamless organization is required. When the workload rises, having a cohesive and smooth-running staff is just the ticket. The following 5 rules will make it easier to streamline your work and help you increase your hourly productivity. 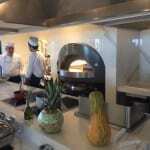 The pizza maker is a professional specialised in preparing pizzas, making a wide variety of pizza doughs, knowing how to handle the tools of the trade and most of all the kneading machine, being familiar with cooking techniques and electric, gas or wood-fired ovens. Despite this job may seem trivial and run-of-the mill at first glance, it is rather an art form. 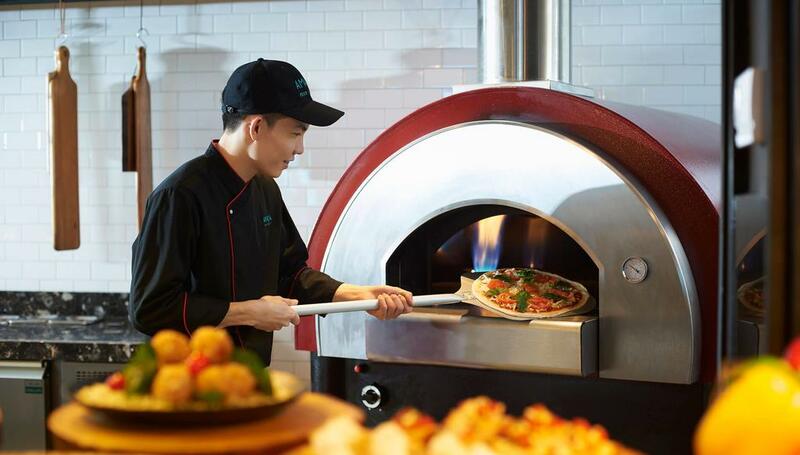 The pizza chef has to master and manage every aspect of production, from the choice of ingredients and raw materials to making dough, picking toppings and cooking. Choosing the right flour, combining the ingredients, monitoring the dough leavening times that is key for the digestibility and quality of the finished article and finally cooking are all aspects too important to be left to chance. 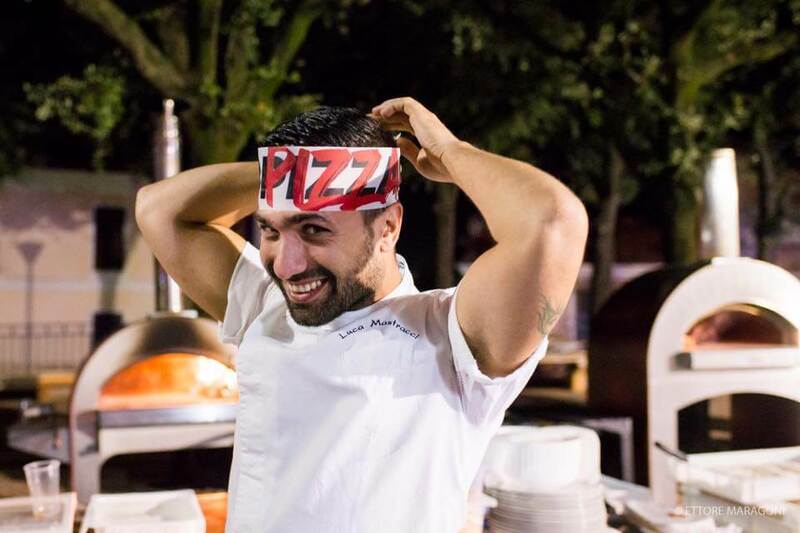 Today nobody can any longer act as a pizza chef because the production standards have risen as well as the customers expectations and needs, so it’s better to entrust this task to a real expert who knows all the details of this process and how to keep up with the client orders churning out scrumptious pizza at full tilt. In the pizza workshop, whether it be an open kitchen or not, it’s necessary to choose the best layout of workspaces and equipment in order to maximise the production from the staff without causing too much stress for the operators. To achieve such an objective, it’s better to find out the best place for the worktop and to estimate the amount of pizza to produce especially during peak hours. Forming a good work team that gets along well, that is confident and committed helps a lot to overcome problems that could suddenly become more serious without a genuine team spirit. But how do you get it? 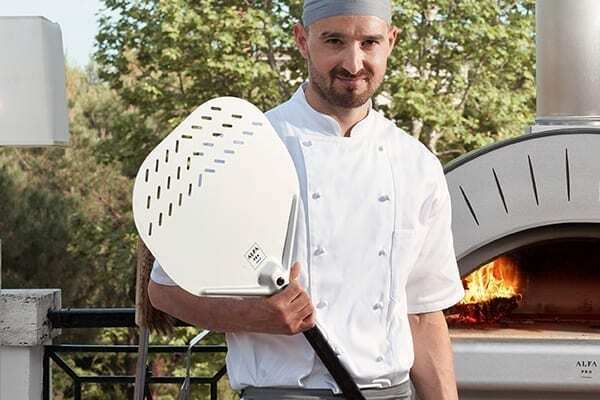 A pizzeria like any other business must set doable objectives and to accomplish that, qualities such as intelligence, experience and imagination are indispensable to find the right solutions and to augment the production of pizza. The organization is often overlooked or taken for granted but on the contrary is the stepping stone to success. 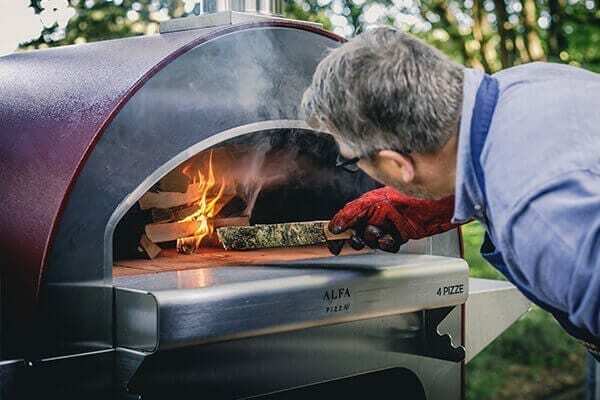 The characteristics of a professional oven depend mainly on fundamental choices such as construction methods, the shape of the cooking chamber or the use of materials that belong to the traditional Italian craftsmanship; these days you can avail yourself of innovative pizza ovens that allow you to enhance your work and increase your productivity while keeping all the qualities of a time-honoured wood-fired oven. To raise pizza hourly productivity, it’s useful to have some under-worktop refrigerated drawers where you can place ingredients for making pizza dough and to let it rise at a controlled temperature. To save more time you can install a blast chiller that will allow you to make a good supply of pizza doughs in view of high turnout. As for tools such as peels, spatulas or cutters, they must be light, clean and sharp. Besides, soft colours in the workplace can reduce the stress and improve staff relations. In order to increase the hourly production of pizzas, it’s paramount that your worktop be kept organised. We recommend dividing it into two distinct sections: the former one to knead doughs and garnish pizzas and the latter one to bake and top them as they come out of the oven. This partition allows to divvy up the assignments among the personnel involved in preparing, cooking and controlling pizzas according to the needs of the moment. The upper parts of the work space must be ergonomically designed so that you may slot pizza boxes in as well as room temperature ingredients and maybe a vacuum machine for safely storing pizza toppings. A proper lighting of the work space is important too and even more so if different operators slog away on it at the same time. In this regard, warm light bulbs or a glass wall that lets light into the kitchen make for a more serene and efficient work environment. Obviously, in the planning phase it is necessary to take into account not only the periods of greater workload but also the production potential and the under-stress performance without exclusively relying on current fads and designs. Besides, it’s better to assess the capacity of the equipment to endure an output increase without causing any hitch or slowdown in production; using high-grade raw materials is another hot tip to improve economic return as well as to save time. Don’t forget to choose flours according to their bread-making capacity and allow for kneading techniques and leavening times if you foresee to keep make-ahead pizza dough in the fridge. Last but not least, use different menus according to workflows to streamline and to speed up production and introduce IT systems for managing orders and payments. The cost to implement all these procedures is not prohibitive but it surely demands a cultural shift to embrace the new challenges of a global market.